DSPLIC is an alias for the DSPMCHINF command included in CyberSource Toolkit for i for legacy reasons. The command should display a screen similar to the one below. 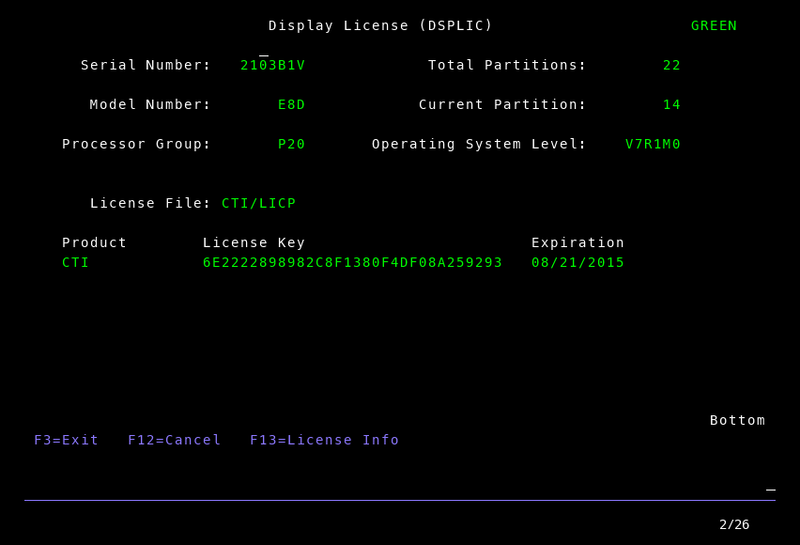 This screen indicates all the information necessary to generate your license key, as well as the current status of any applied license keys. If you don’t see this screen or receive an error message, please contact us at isupport@krengeltech.com.